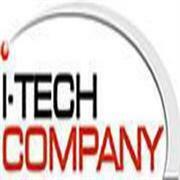 Your message has been sent to i Tech Company LLC . Like authorSTREAM? Give us a +1! i Tech Company LLC's Podcasts ..
itechcompany uploaded a new presentation "Top 7 Interactive Kiosk"
http://www.i-techcompany.com : Kiosk have been used in rail stations, grocery store, airports & other industry. Here are 7 types of kio..
BellaStrong : Very cool work! I hope that you will keep doing the same and even better! happyji21 : vashikaran specialist govind bapu ji is one of the most talented most famous person in the field of astrology ,tantra,mantra . if you a..